Shopventory can be used to track units (pounds, milliliters, kilograms, ounces, etc.) 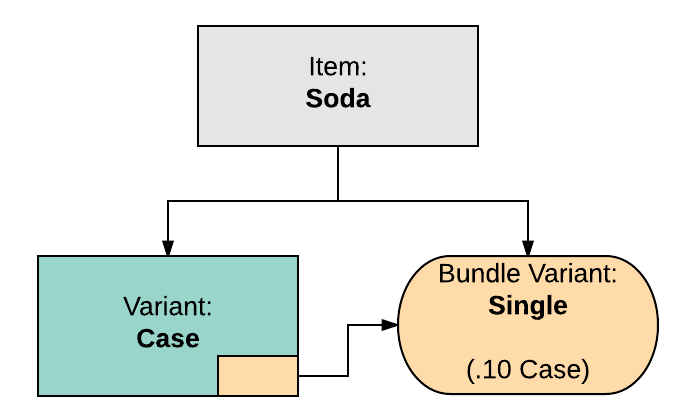 using the Bundles function and by creating Bundle Variants. For example, let's say we sell Olive Oil in Various quantities. Notice there is a quantity of 12.75 in stock. Shopventory tracks partial quantities for any Product. We can create a new Bundle Variant of the Olive Oil product from the existing 1 Liter Variant. 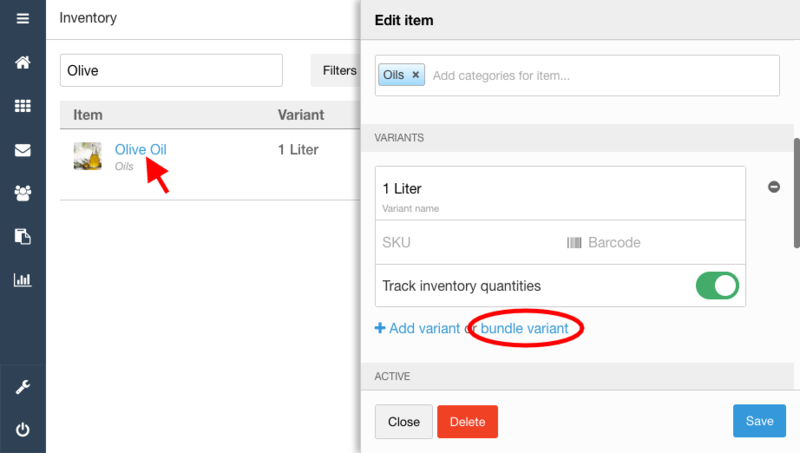 To create a Bundle Variant, we just have to click on the existing Product Name and use the Add Bundle Variant option. Note: More than one piece of inventory can be added to a Bundle Variant. So, what we have done is create a 1 Liter Variant of Olive Oil, then create a Half-Liter Variant of Olive Oil based on that original 1 Liter Variant. Whichever Variant I sell, it's drawing from the same components in my inventory. The same can be done with packs to singles, bottles to pours, pounds to ounces, and a whole lot more! Shopventory does NOT do standard unit conversion. In other words, Shopventory does not know that 1000 milliliters go into 1 liter or that 16oz are the same thing as 1lb... unless you tell it. Changing the Bundle Product Name, Category, tax rate, or Active toggle will change the component Product in the Products & Variants tab, and vice versa.